During the three-day visit, Sushma Swaraj will meet with the Saudi leadership and discuss bilateral, regional and global issues of mutual interest. Sushma Swaraj will inaugurate the Janadriyah festival in Riyadh tomorrow. Riyadh: External Affairs Minister Sushma Swaraj today arrived in Riyadh on her maiden visit to Saudi Arabia during which she will inaugurate the Janadriyah festival of the Gulf Kingdom, which is home to over three million Indians. 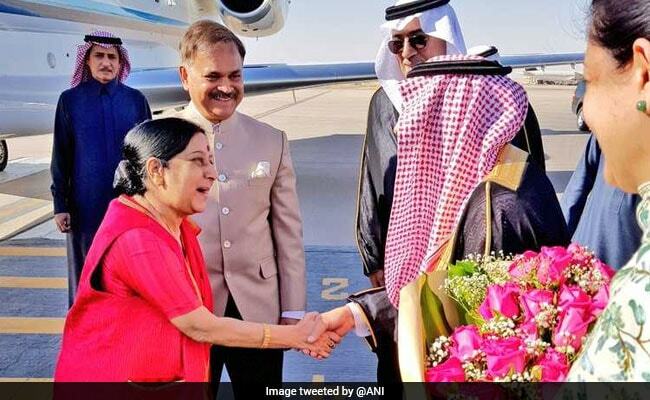 During the three-day visit, Ms Swaraj will meet with the Saudi leadership and discuss bilateral, regional and global issues of mutual interest. She will also participate at the inauguration of the prestigious National Heritage and Culture Festival 'Janadriyah', at which India is the guest of honour country. The festival, organised by the National Guard, exhibits Saudi Arabia's rich tapestry of culture and heritage. 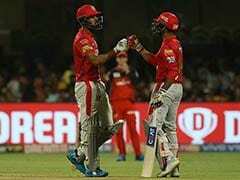 "Warm welcome reflecting our relationship! EAM @SushmaSwaraj received by Saudi officials and Indian Ambassador Ahmad Javed on her arrival at Riyadh airport. Saudi Arabia is India's valued strategic partner," Ministry of External Affairs spokesperson Raveesh Kumar tweeted. Ms Swaraj will inaugurate the Janadriyah festival tomorrow. Minister of State for External Affairs V K Singh had earlier said that India's participation in the festival will be multi-faceted. "We will have an Indian pavilion where we will project a number of Indian themes and projects. The pavilion will comprise glimpses of traditional and modern India," he said. Saudi Arabia is India's fourth largest trade partner after China, the US and the UAE. The country is a major source of India's energy requirement as it accounts for almost one- fifth of India's crude oil requirement. The volume of bilateral trade during 2016-17 was recorded at USD 25.079 billion, a slight decrease from the USD 26.71 billion in 2015-16.